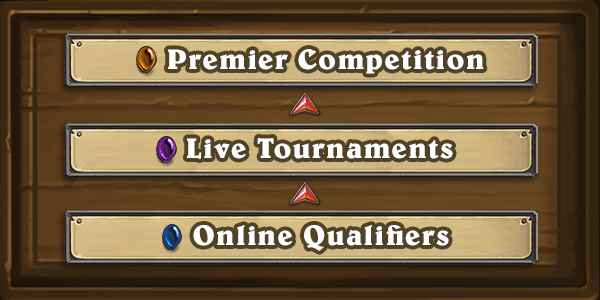 Hearthstone is reinventing itself as an esport once more in 2019 with region-wide qualifiers for everyone, invite-only events, more rewards and no more Conquest format. The Hearthstone Championship Tour will have a three-tier structure in 2019, right after the 2018 World Championship finals that will take place this spring. The first tier consists of online qualifiers with no regional restrictions. Winners of these qualifiers will be invited to the live global tournaments. There will be three of those in 2019 with a prize pool of $250,000 each. The top tier is called Premier Play and it's a round-robin weekly competition split into regional divisions. One of the big changes is that there will be no more Conquest format in 2019. However, we shouldn't expect Last Hero Standing either, since a brand new format will be announced soon. Lastly, while the Hearthstone Masters Systems introduced in 2018 may not carry over to the next year, the players' effort will still be recognised. 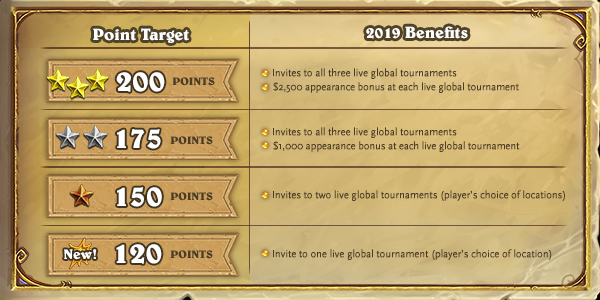 Top point earners can still work on earning more points from all kinds of sources except from the ladder and they will earn invites to the 2019 global tournaments and some monetary bonuses. Only change that needs to happen to Hearthstone Esports: Delete it, it is a joke. This comment is a joke as well, should it be deleted alongside with Hearthstone from Esports? They keep changing the system. I wonder if it confuses the players?